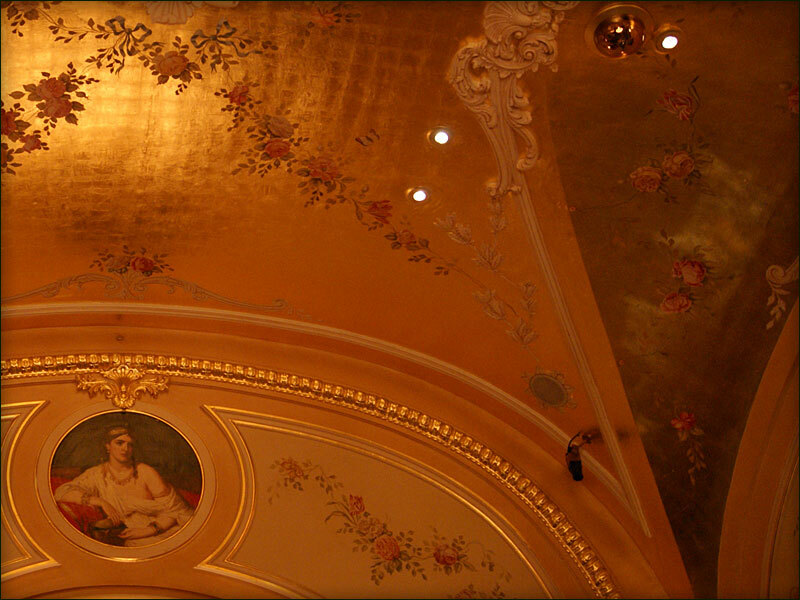 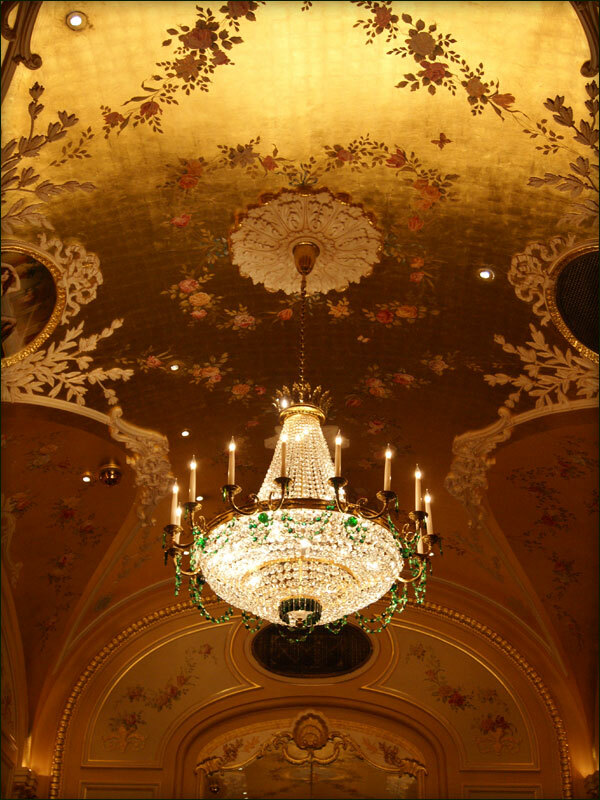 On the ceiling, garlands of flowers have been painstakingly hand painted from a scaffold over a 23 carat gilded background. 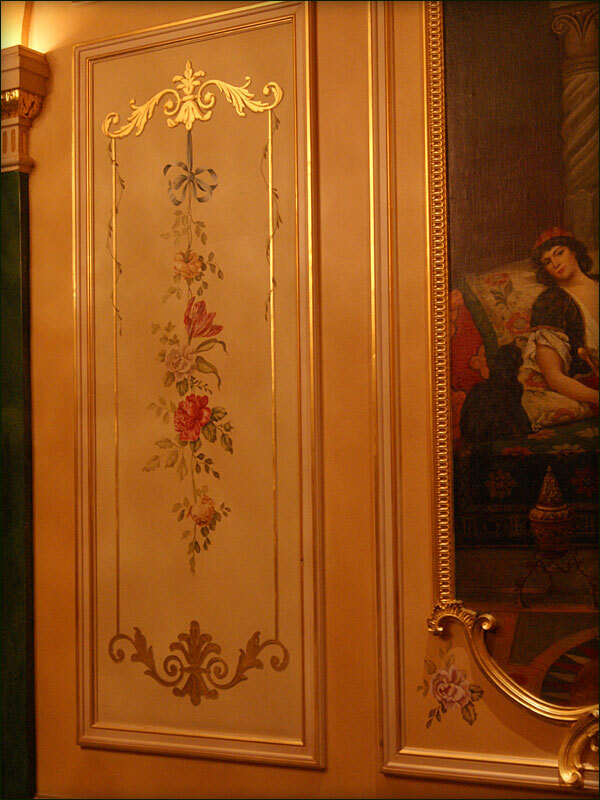 Trompe l`oeil mouldings were also added to link in with existing fibrous plaster ornamentation. 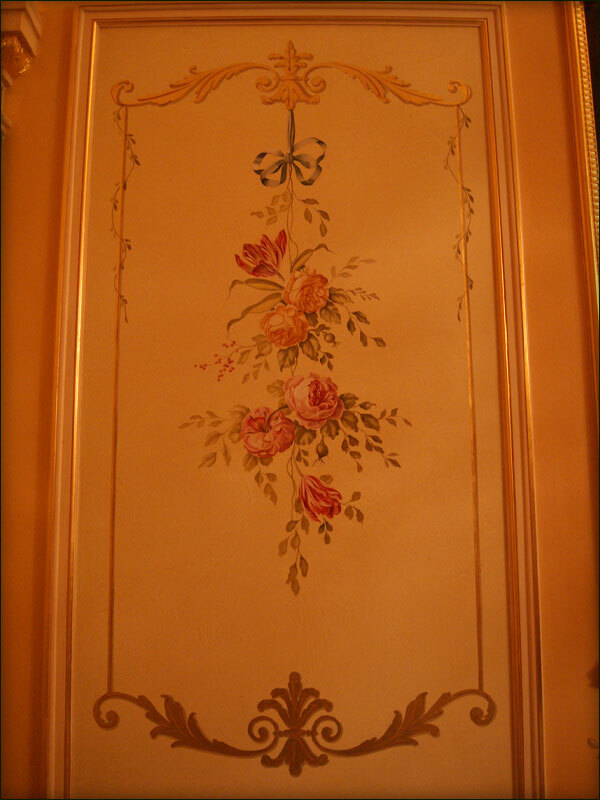 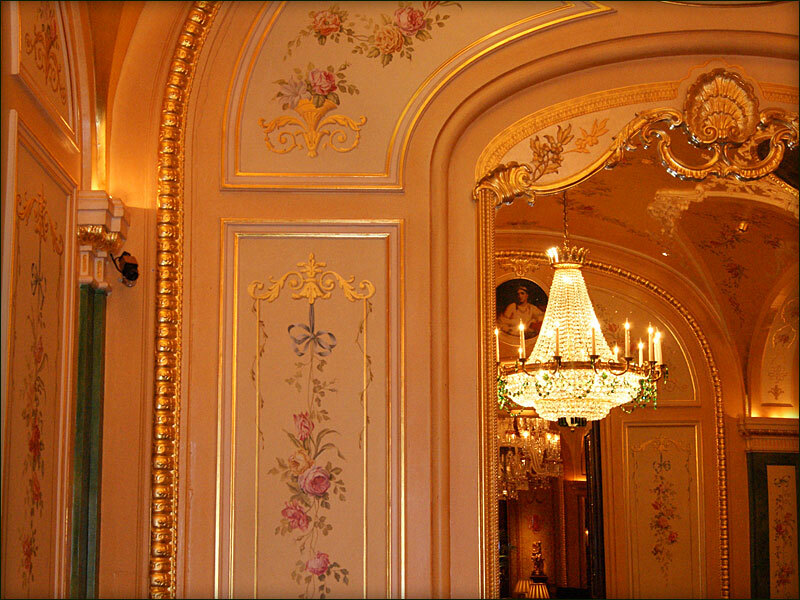 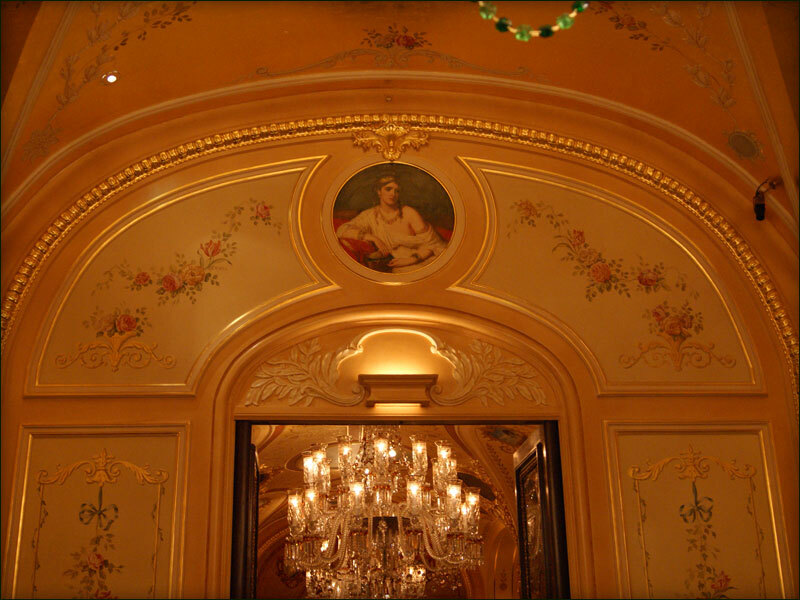 The wall panels were painted to canvas with a combination of flowers and gilded scrollwork and later fitted after all the surrounding paintwork had been finished.